Art project in the library of the Stedelijk Museum Amsterdam. 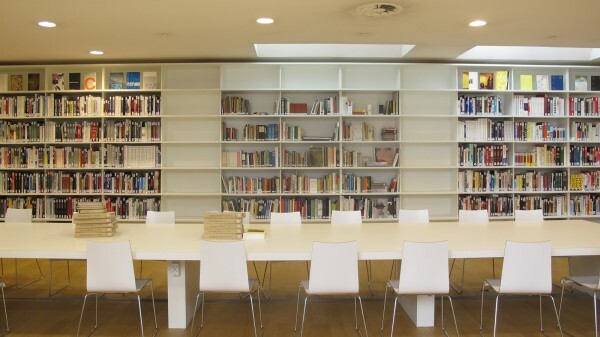 The Stedelijk Museum has one of the largest art libraries in Europe, with a collection of over 190,000 titles. Visitors walking through the suite of ground floor galleries may be surprised to know that they are actually walking over almost 2.5 kilometers of books and journals which are stored in the museum basement. An infinite number of relationships can arise between the various publications. What may begin in the reading room as a researcher’s question is often the first step in a long route of inquiry that encounters cross-fertilizations, influences and chance discoveries. 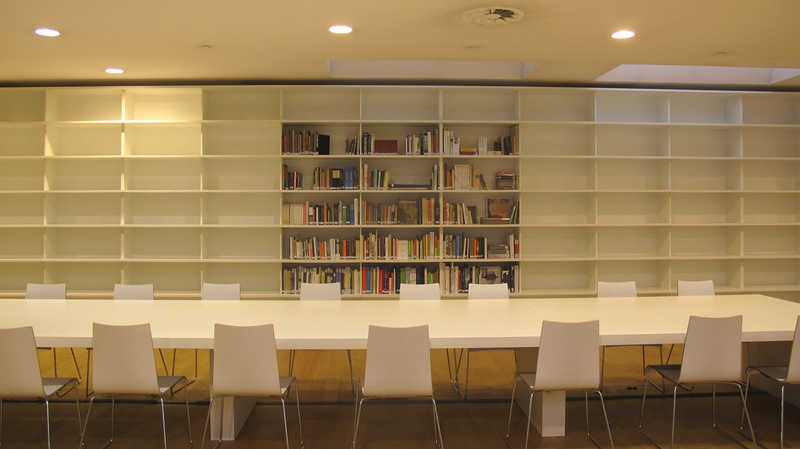 For the first time, the Stedelijk library’s reading room is the backdrop to an artwork. In her project Moving Thinking, the Brazilian artist Mariana Lanari (1976) creates a visual presentation of information pathways. In October, she began a five-month performance that aims to reveal how the content of books is interlinked. The project not only shows how a library functions, but also displays the enormous wealth of the Stedelijk Museum library – which first began its collection around 1930, and opened its doors to the public in 1957. Over the next few months, Mariana Lanari will transform the current classification of the books in the reading room – which are usually ranked alphabetically, by artist – by changing the order of the books, and replacing some with publications from the storage depot. Lanari begins by exploring the branching of the influential book Writing as Sculpture by Louwrien Wijers (1996). The book contains interviews between Wijers and important artists and scientists of the day, including Joseph Beuys, Andy Warhol and Robert Filliou. Taking this publication as her starting point, Lanari composes a lengthy sequence of publications, all of which are connected in some way, such as the catalogue of the major Beuys exhibition at the Guggenheim, to which Beuys refers in the interview, or Research at the Stedelijk by Robert Filliou. Moving Thinking is a growing, associative project that, as it undulates and meanders, highlights the relationships between books. 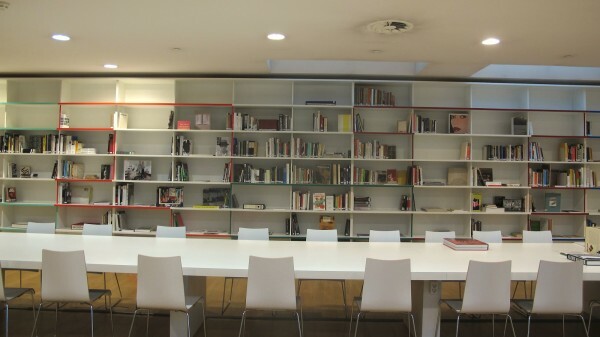 Over the coming months, Lanari will rearrange the large wall of books in the reading room to visualize the interconnections and cross-currents. The permutations will be recorded by photos and videos viewable on the website, and on a blog by Mariana Lanari. At first, the modifications will be difficult to spot, but as the project continues, it will gradually transform the appearance of the reading room. Mariana Lanari and Michiel Nijhoff will be available at specific times in the reading room for presentations, questions and comments. 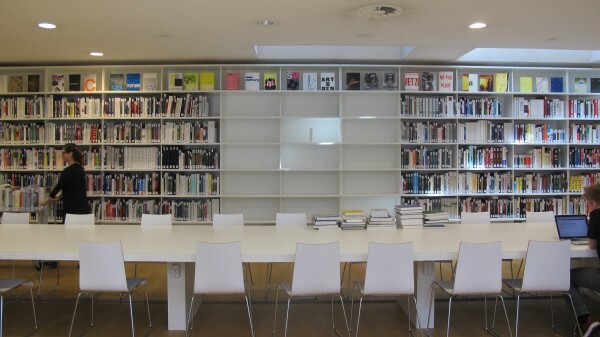 The library of the Stedelijk is on the sub-level floor of the new wing. Those wishing to use the library can do so without a valid entrance ticket for the Stedelijk. Opening hours: Tuesday to Saturday from 12.00-17.00 hrs. Presentación de la exposición en la página web del Stedelijk Museum.